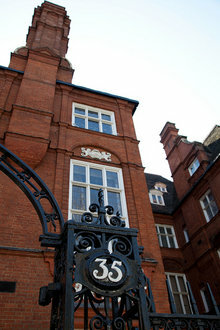 Want to know more about Ithaca College's London Center? Visit the center's blog. To celebrate the anniversary, the staff is compiling a book of stories about the center and will host the College's provost, Marisa Kelly, for a weeklong celebration in April. "It's the ICLC alums who tell us the most about the center," says Bill Sheasgreen, director of the London Center. "Whether they're from the '70s, '80s, 90s, or this century, they generally say, 'This was the best semester ever.'"